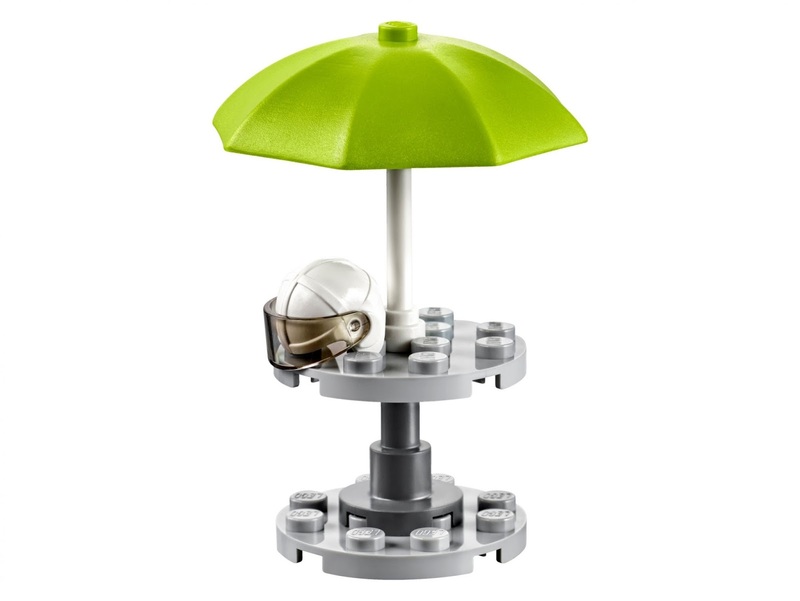 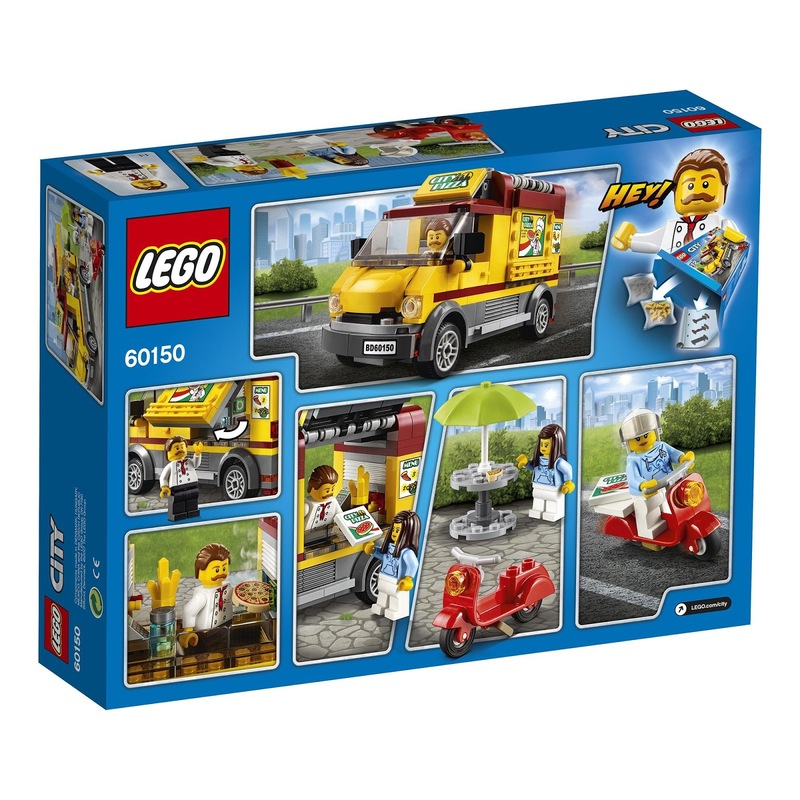 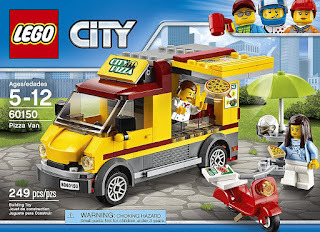 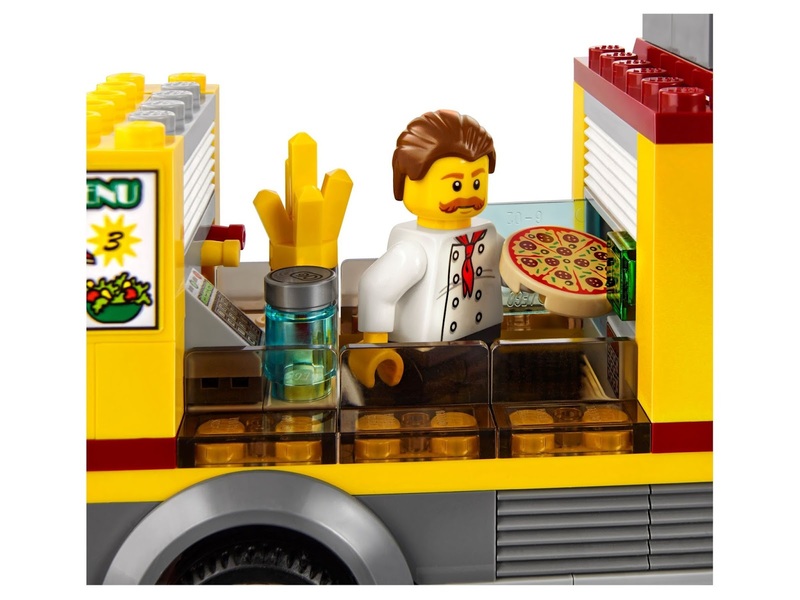 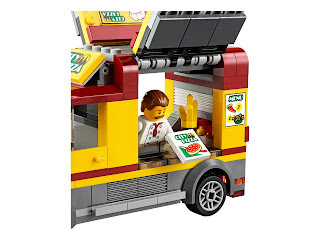 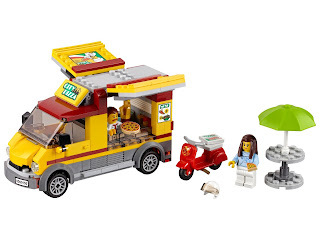 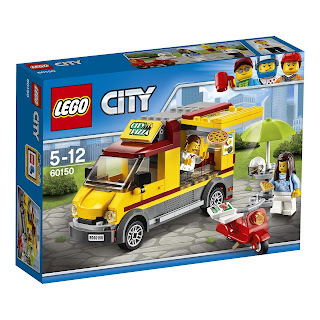 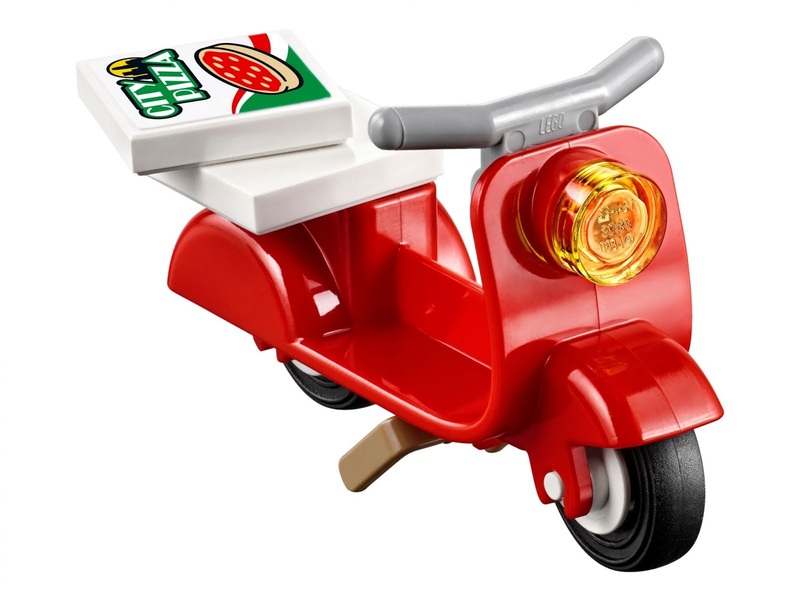 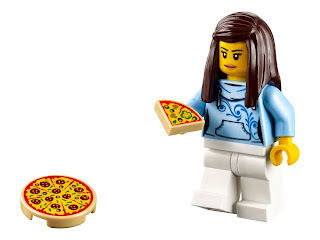 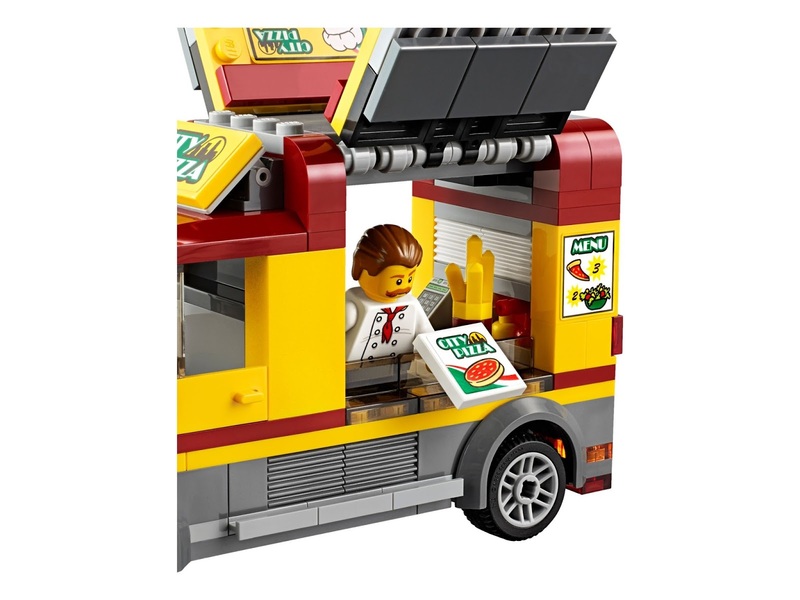 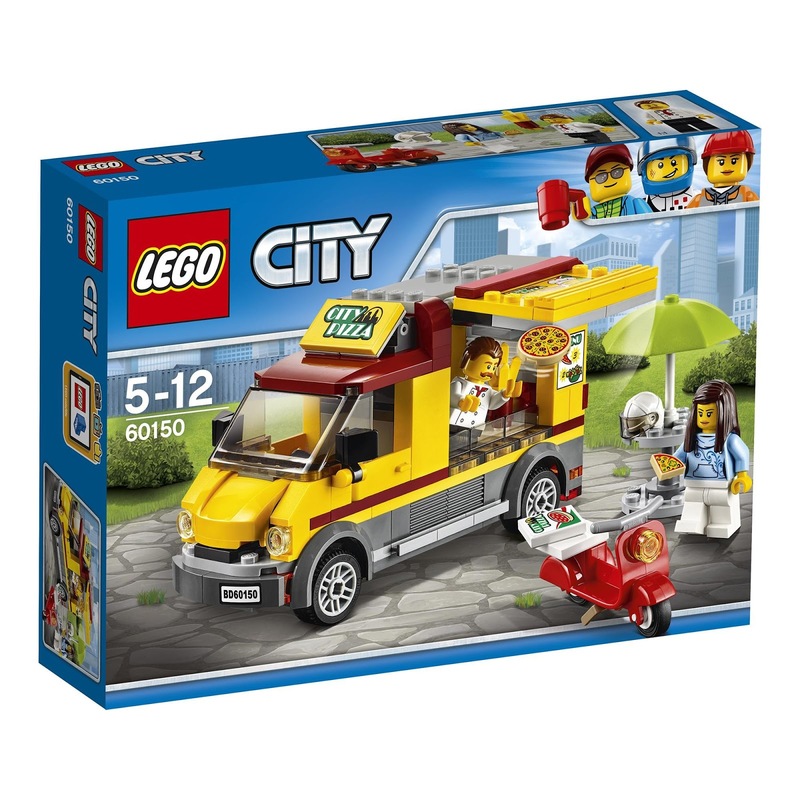 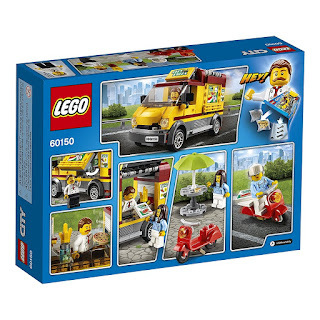 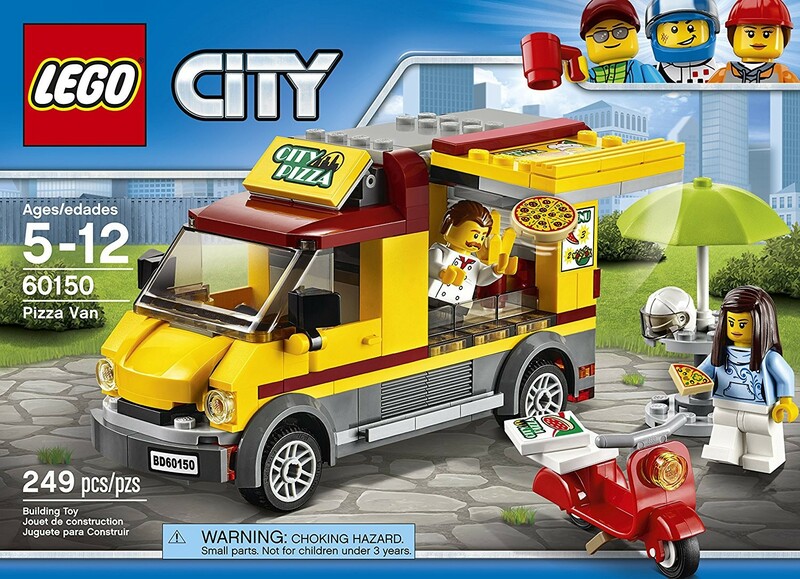 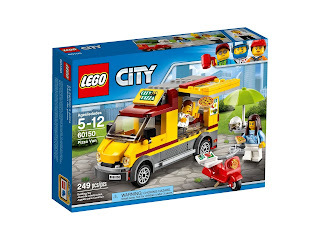 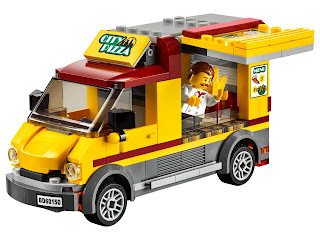 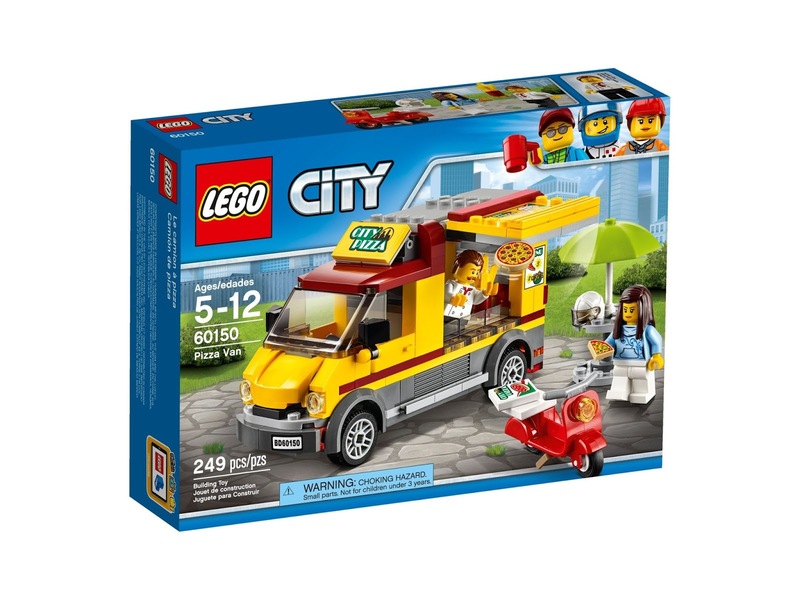 come with a pizza van, a scooter and a buildable table with an umbrella. 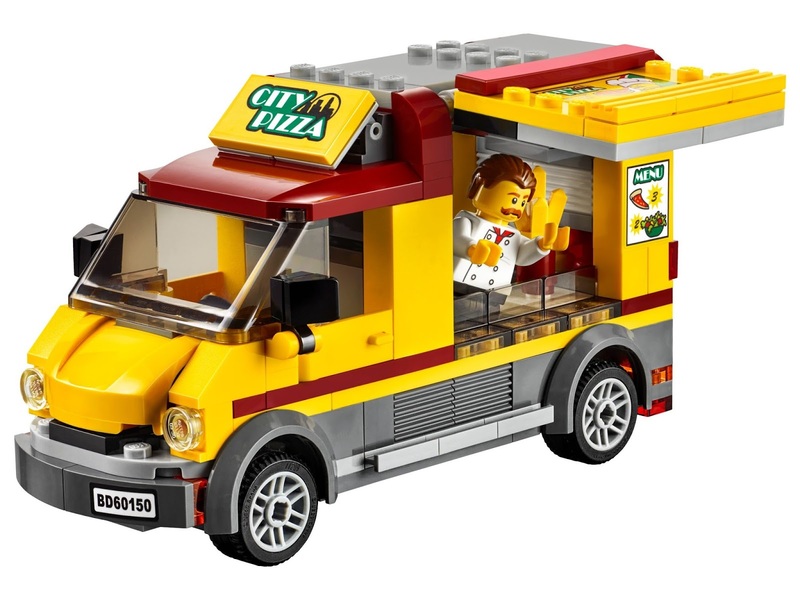 the van has openable sides and a kitchen area. 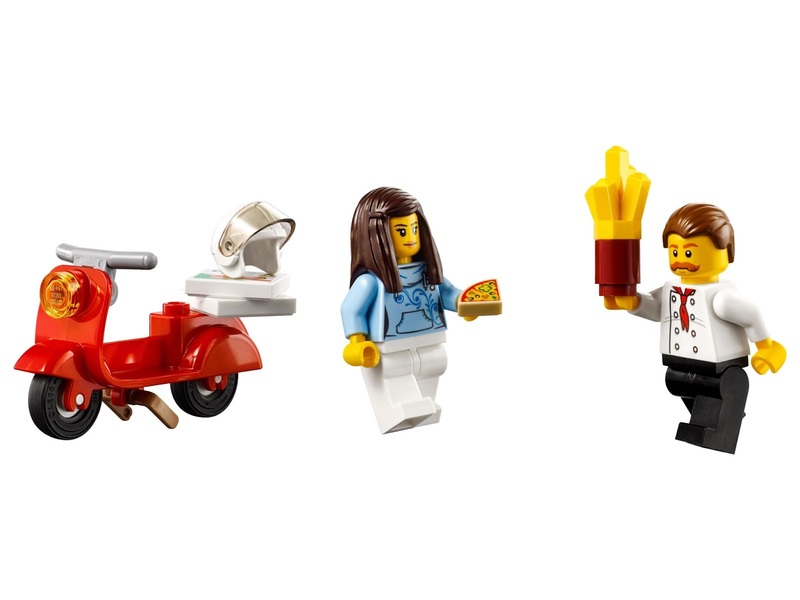 minifigs included a chef minifig and a female minifig.